Is the Quran copied from the Jewish and Christian sources or is it from God ? Surprisingly the name of Haman is never mentioned in those sections of the Torah pertaining to the life of Moses. However, the mention of Haman can be found in the last chapters of the Old Testament as the helper of a Babylonian king who inflicted many cruelties on the Israelites approximately 1,100 years after Moses (peace be upon him). 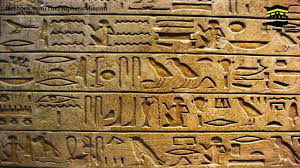 Through the decoding of hieroglyph, an important piece of knowledge was revealed: the name "Haman" was indeed mentioned in Egyptian inscriptions. This name was referred to in a monument in the Hof Museum in Vienna. In the dictionary of People in the New Kingdom, that was prepared based on the entire collection of inscriptions, Haman is said to be "the head of stone quarry workers". Moses (peace be upon him) was not the only prophet who lived in the lands of Egypt in the history of ancient Egypt. The Prophet Joseph (peace be upon him) had lived in Egypt long before the time of Moses. Therefore the miraculous nature of the Qur'an is manifested here once again: Joseph (peace be upon him) lived at the time of the Old Kingdom, and hence the word "malik" was used for the Egyptian ruler rather than "pharaoh". On the contrary, since Moses lived at the time of the New Kingdom, the ruler of Egypt is addressed as "pharaoh". There is no doubt that one has to have a knowledge of the history of Egypt in order to make such a distinction. However, the history of Ancient Egypt was completely forgotten by the 4th century, as hieroglyphics could no longer be understood, and was not rediscovered until the 19th century. Therefore, there was no in-depth knowledge of Egyptian history available when the Qur'an was revealed. This fact is yet another one of countless pieces of evidence proving that the Qur'an is the word of God. [i] It is significant to know that the Bible uses the term Pharoah instead of King, in Genisis 41. Any similarities or differences between the Qur'an and other scriptural and non-scriptural Jewish and Christian writings is not evidence for or against the Qur'an’s authenticity and credibility. Rather, whenever the subject matter in question can be investigated in the light of factual historical information, then history has to be the judge. Such as in the two examples in this article i.e. the name Haman and the title of Egyptian Rulers in the Qur'an compared to previous scriptures and writings. Whenever the information is impossible to ascertain historically, such as narratives of miracles, then faith in whichever version has to be supported by the general credibility and authenticity of the source making the assertion.